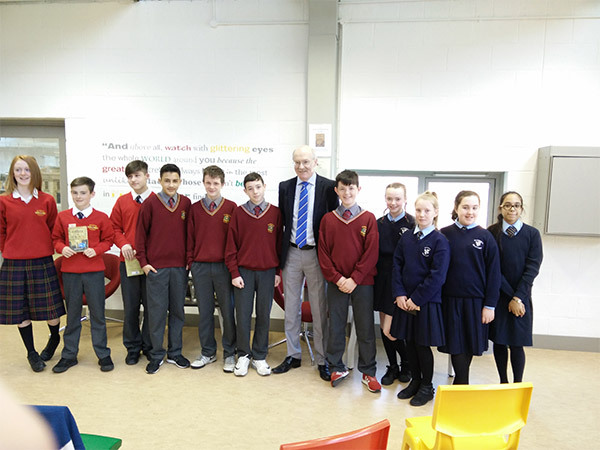 This year St. John’s College was involved in organising the One Book initiative in conjunction with the Ballyfermot Partnership. The Book chosen was Friend or Foe by Brian Gallagher, chosen to tie in with the 1916 centenary celebrations. Each school in the area completed competition work in 3 areas – Creative Writing, Multimedia and a poster completion. 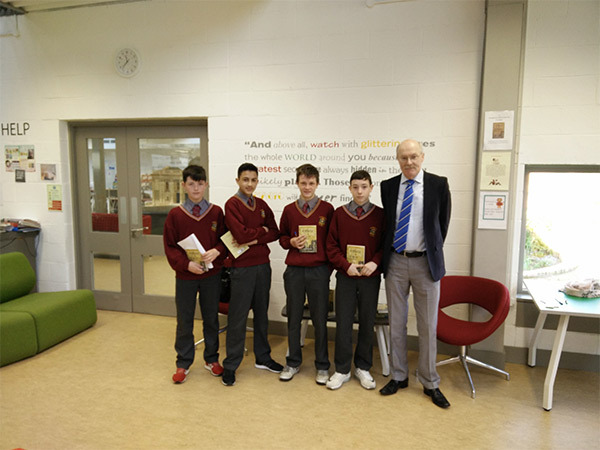 The winners from each school attended a ceremony at the Ballyfermot Library where they were awarded their prizes by Brian Gallagher. For the school tour 2016 46 students and 6 teachers went to Italy for 4 days! The group flew into Milan were they visited the famous San Siro stadium, home of AC and Inter Milan! Later they strolled around the beautiful Milan streets before visiting the famous Milan Duomo. 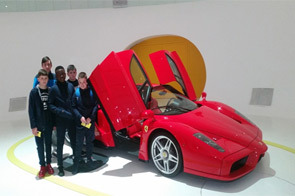 We then went to a Ferrari museum where we saw the newest Ferarri, the 488 GTB and even Lightening McQueen! We then went to Verona where we saw the famous Romeo and Juliet balcony and her tomb, before the lads done a bit of shopping in Verona and the shopping centre! 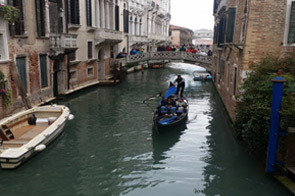 We got a tour around the famous Venice where many of the students got on a gondola and wandered around the beautiful streets of Venice! Not to forget eating a lot of pizza and gelato! The last day we went to Gardaland where everyone got on some of the best rollercoasters in the world! 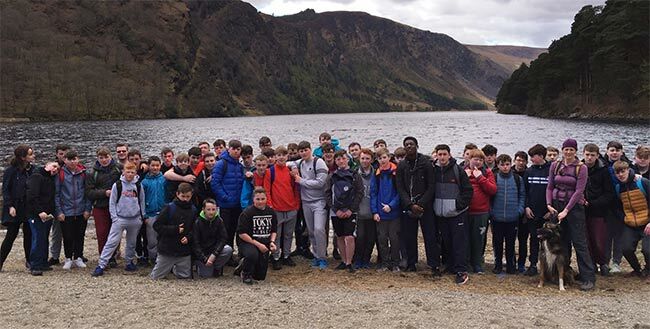 Class 2G, and members of 3E and 3F went on the school’s annual hike on Monday, this year to Glendalough. 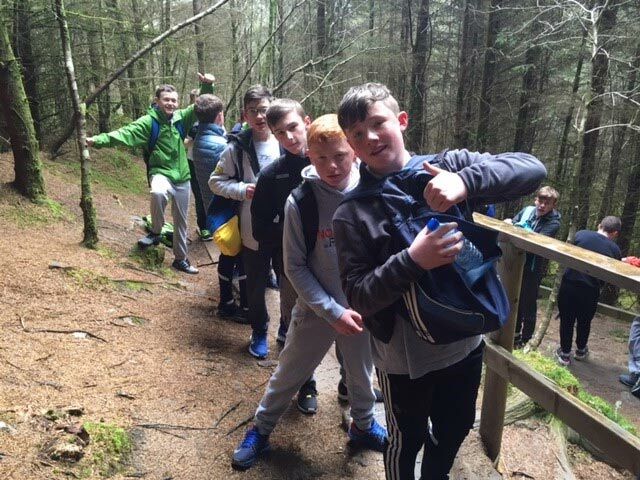 Accompanying them was Ms Leonard, Ms Prendergast, Mr Gaughran and Mr Wyatt. It was a strenuous start, up approximately 600 steps to the first viewing point overlooking the Upper and Lower lakes, and over to the Round Tower and Abbey in the distance. 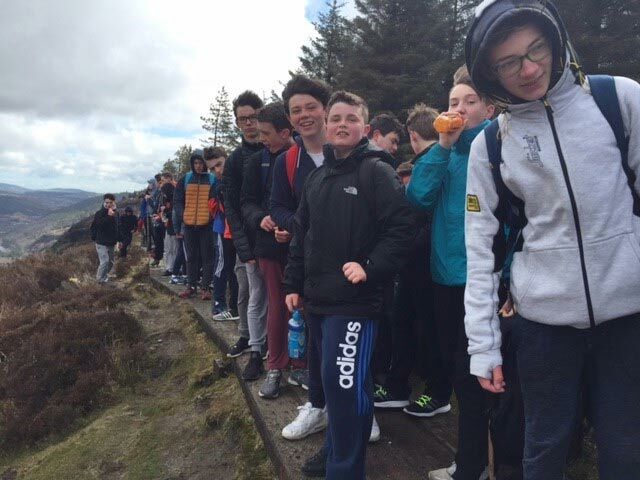 Along the boardwalks to the top of the Spinc mountain, the students were delighted to see a herd of wild deer as well as the famous herd of wild goats (as was Ms Prendergast’s dog, who was very put out to be on a lead). 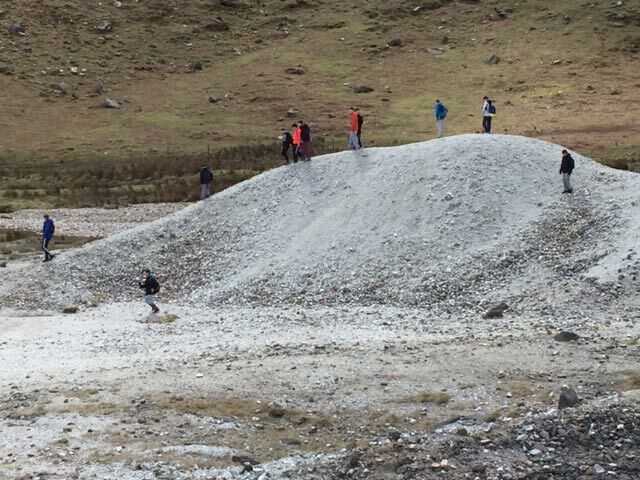 Lunch was held in the sunshine by the river on the way down, followed by some students demonstrating their own mountain goat abilities during the steep descent. 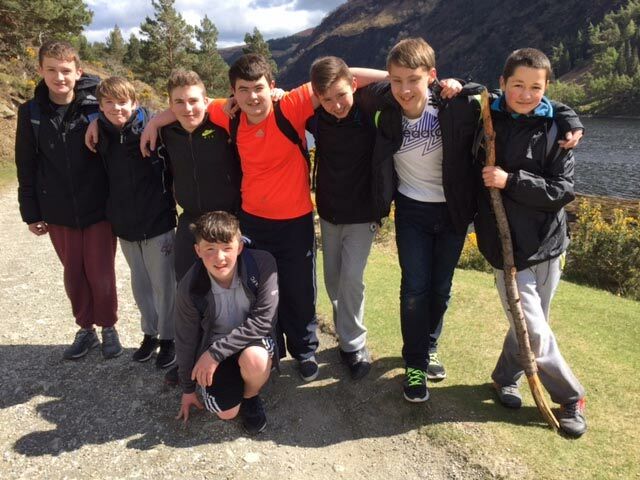 An excellent day was had by all, and also a real sense of achievement of completing an 11km hike. Well done to all!